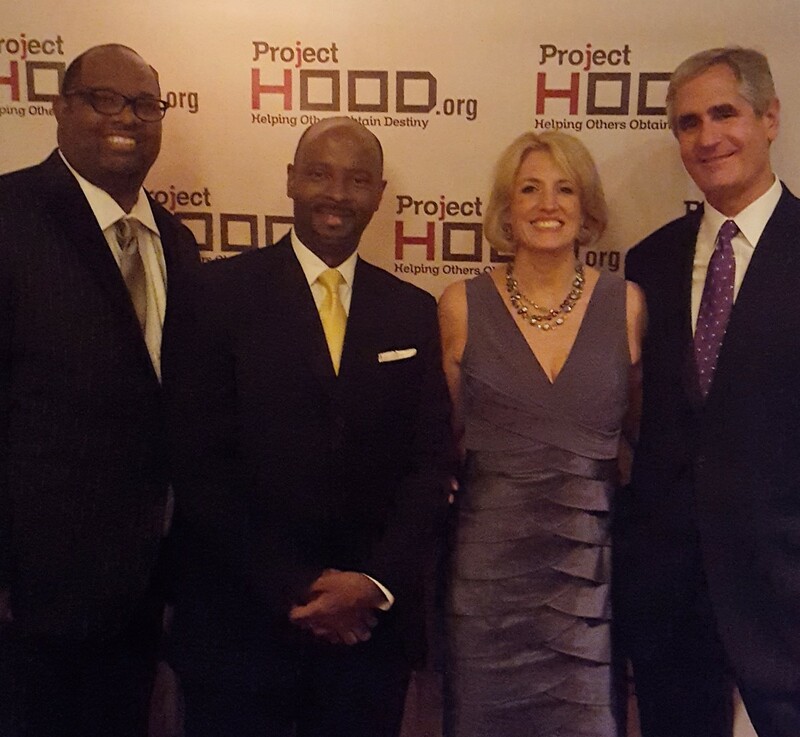 (From left) Pastor Corey Brooks, the Firm’s Nick Gowen, IL Comptroller Leslie Munger and her husband John Munger at the Project H.O.O.D. (Helping Others Obtain Destiny) annual Gala, held at Galleria Marchetti on May 27. Project H.O.O.D. is a 501(c)(3) organization, created by Pastor Corey Brooks, that is focused on establishing community and economic development programming for underrepresented youth in Woodlawn and Englewood. Nick Gowen is a member of the organization’s board of directors and has been involved with the organization for many years. The organization has received national attention from Good Morning America, the New York Times, Daily Beast, and Huffington Post. To learn more about Project H.O.O.D. or this event, please contact Nick Gowen at 312/840-7088 or ngowen@burkelaw.com.